An extremely rich and non-greasy potion that helps get rid of the dark spots and dark circles or any kind of pigmentation. 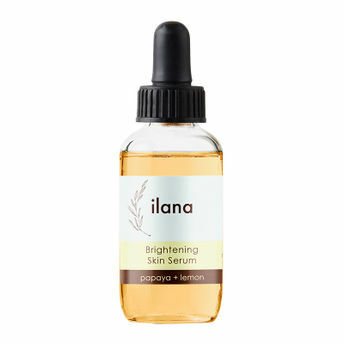 Ilana Organics skin brightening serum contains papaya seed oil which nourishes the skin and keeps it healthy and glowing. The high levels of vitamin C lighten spots, blemishes and reduce acne scars. This 100% percent natural and organic skin serum revives your complexion and adds a beautiful glow to your skin.